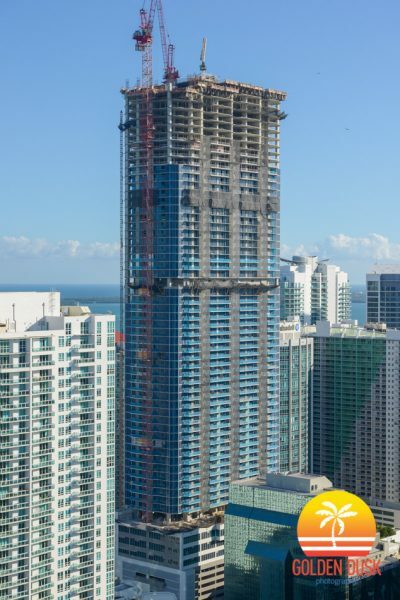 Suncoast PT Tendons and SRS® (Stud Reinforcement System) reinforce each level of this intended 85-story building, Panorama Tower – soon-to-be the tallest building in Miami! We’re grateful for every opportunity to work with Tutor Perini and Baker Concrete. Strategically located at the epicenter of the Brickell financial district, this mixed-use development is planned to be comprised of luxury rental apartments, hotel rooms, medically-oriented office space and high-end retail space. Atop the pedestal will sit a recreation deck containing a cardio room with more than 100 exercise machines, a weight room, fitness area, steam room, spa, spinning/training studio, serenity pool, recreational pool, lap pool, interactive water feature, large pool and sundeck area, pool deck restaurant and two social rooms.